Hahaha! 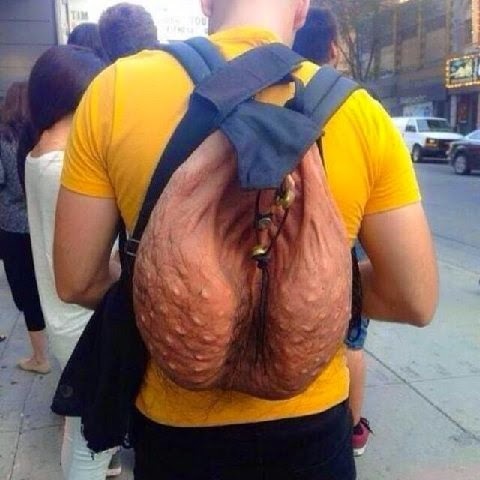 I sent this pic to my gal and said I just found my new back pack. She almost puked. Wait'll she sees the new coozie...talk about putting a head on your beer!